6 Ways To Get Stronger & Faster On Hills! 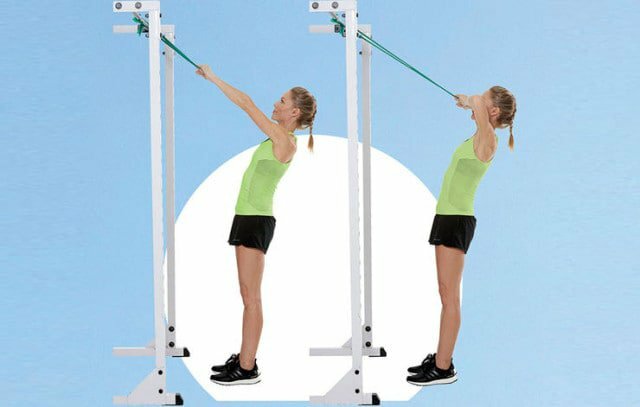 These six exercises will strengthen your postural muscles, making you a better climber. To stay healthy, perform these moves at least twice per week. Do the sequence once as a pre-run warmup or four times as a workout on a non-running day. With feet hip-width apart, rock onto your heels to lift the balls of both feet high, and slam the floor when you lower them. Begin with sets of 20 repetitions and work up to sets of 50. From all fours, extend your left leg, bend it to circle it to the side and forward, then straighten it back. Do three or four reps, then switch directions. Repeat with the opposite leg. With a towel beneath your left foot and your weight on your right leg, slide your left foot back into a lunge. Push through your right heel to stand. Do 10 to 12 reps per side. Plant your right foot on a tall bench so your right knee is higher than your hip. Press through your right heel until your right leg is straight. Lower back down and repeat. Do five to 10 reps per side. Grip a band anchored overhead so your palms face down and your arms are straight. Pull your hands toward your face, keeping your elbows high. Do 12 to 15 reps.
From a pushup, lower slowly to the floor. Lift your hands and squeeze your shoulder blades together. Plant your hands and push up to the starting position. Do 12 to 15 reps.